Look for an experienced construction lending loan officer, preferably in log or timber frame construction. You will want to deal with an expert that you can rely on during the building process. 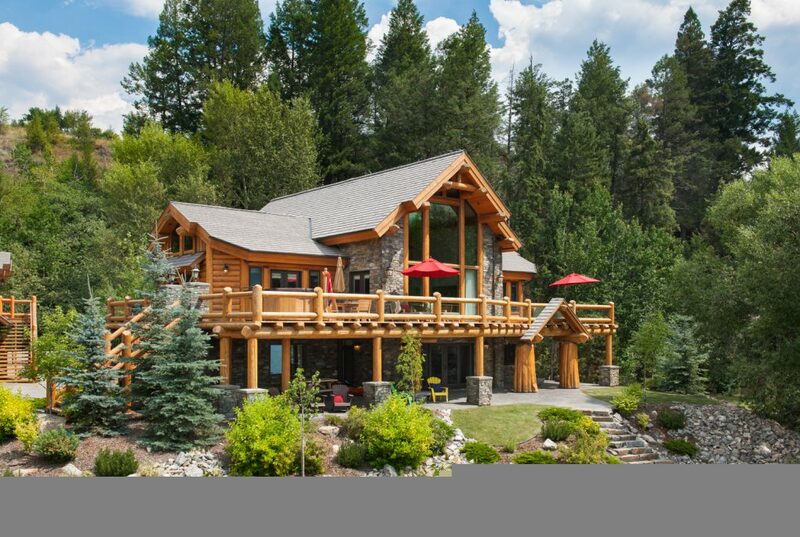 Ensure your lender will accommodate the required payment terms of your log home or timber frame company. Understanding this upfront can save many challenges later in the process. With a Two-Time Close loan, the construction loan is refinanced into a new permanent mortgage loan once the home is completed. This type of transaction requires that you re-qualify for the new permanent mortgage, and it also requires that you pay two sets of closing costs. A One-Time Close loan may be a less expensive approach. In this situation, the lender provides one loan for the construction period. When the home is complete, the loan will automatically convert to a permanent mortgage. Lender policies vary, but for the most part, this type of loan will not require you to re-qualify or pay new closing costs when the home converts to the permanent mortgage. During the construction of your home, you will typically pay an interest-only payment based on the loan’s balance. As your balance increases, so will your monthly payment. When the home is complete, the payment will include Principal, Interest, Tax and Insurance (like a normal conventional loan). Construction loan terms vary from 6 months to 12 months and beyond. Check with your lender for more specific information about your situation. Once you have determined which lender you will use, apply for financing early on in the process. Understanding how much you qualify for upfront will aid in discussions with your log or timber frame company as well as with your builder. Most lenders do not charge for a pre-approval. Understanding the real estate market in the area where you are going to build is very useful. It’s important for your lender to know if your new home will be marketable in your area. It is critical that you discuss these items with your lender up front. It can save you from challenges late in the processing of your loan. What down payment is required? You will find that each lender has different policies. Most lenders require a 20-50% down payment. The size of the loan typically determines the down payment percentage. If you own the land outright, the equity in the land may count towards your down payment needs. Discuss your scenario with your lender to determine what cash, if any, is required at loan signing. Are you considering beginning any construction work on your site prior to loan signing/closing? Pre-start activity is generally acceptable though you should check with your lender before beginning any construction work on the property. There may be a challenge with the Title Company insuring the lender if any work has begun prior to the loan signing. If it is acceptable to begin work ahead of time, keep good records of anything you pay for out of pocket. You may need to prove payment for these items. Once your initial down payment is made, any excess items for which you have paid may be reimbursable at the loan signing. Discuss this with your lender. What happens if your costs exceed your original budget? This is a common occurrence with construction projects. Something outside your control or an upgrade you make along the way can cause the overage. Either way, if there are not sufficient funds in the loan to pay for the overage, then you must pay for it with your own cash. Perhaps building a contingency fund into the loan amount is a better way to handle any overages. Ask your lender to explain their policy on the use of contingency dollars. Is Interest Reserve an important feature for you with the construction loan? Interest Reserve is a dollar amount added to your loan to make your monthly interest payments during construction. During construction you actually make no monthly payments. At the end of construction, you owe more money because you have borrowed those monthly payments using the loan money. This feature is useful if you are selling your current home while living in your new home during construction. Are you considering being an Owner-Builder? If you are considering overseeing or doing some of the construction work on your own, please discuss this with your lender up front. Some lenders will want to ensure you have the experience to oversee the project and may ask you provide a resume of your experience as it relates to construction. Other lenders may not allow you to be an Owner-Builder at all. Be sure your lender will accommodate this for you.